We chose a peculiar area for this trip, based on our archaeology backgrounds. We wanted to visit the sites we’d heard of for so long. Neither of us looked at the region on GoogleEarth, for example, where it appears as a gray patch on the otherwise bright green surface of Ecuador. At this time of year, the Santa Elena peninsula is very dry and tends to be overcast, which we discovered when we drove north to visit the Valdivia museum and the sun was out. On the days we’ve driven north, the sun has appeared as soon as we get about 10 miles up the road. We discovered the charms of the region right away. 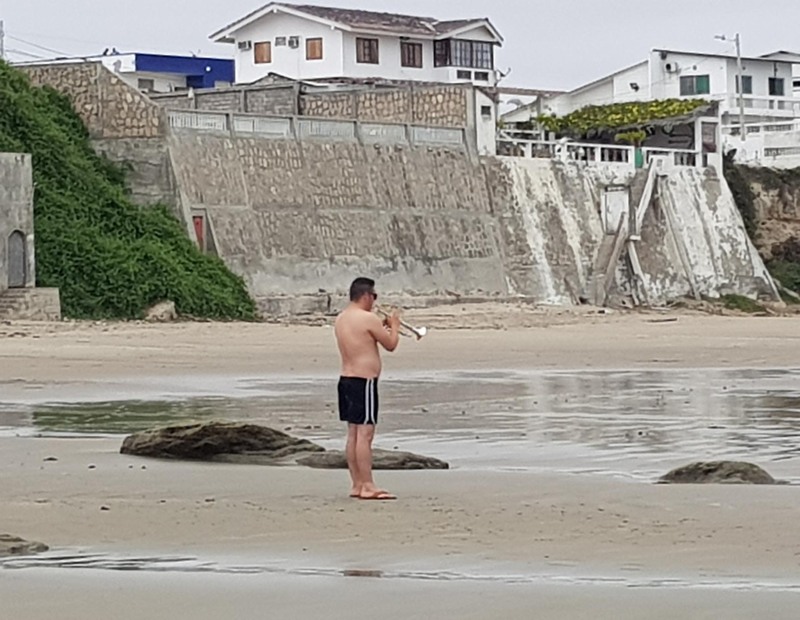 We walked down the beach in front of our house and found a man playing a romantic Latin tune on the trumpet while the rest of his family swam and played on the beach. 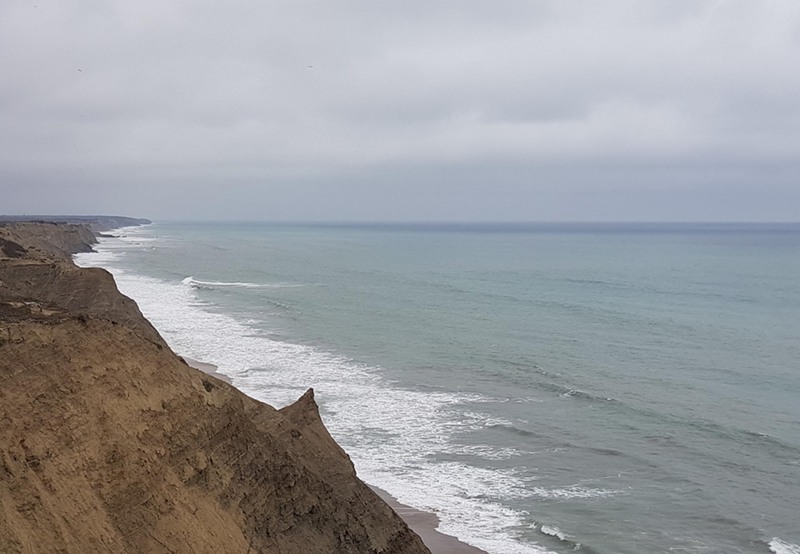 On another day, we drove to the part of Ecuador that juts furthest into the Pacific Ocean, Salinas point. It was Saturday and there were lots of visitors. The ocean extended as far as anyone could see. 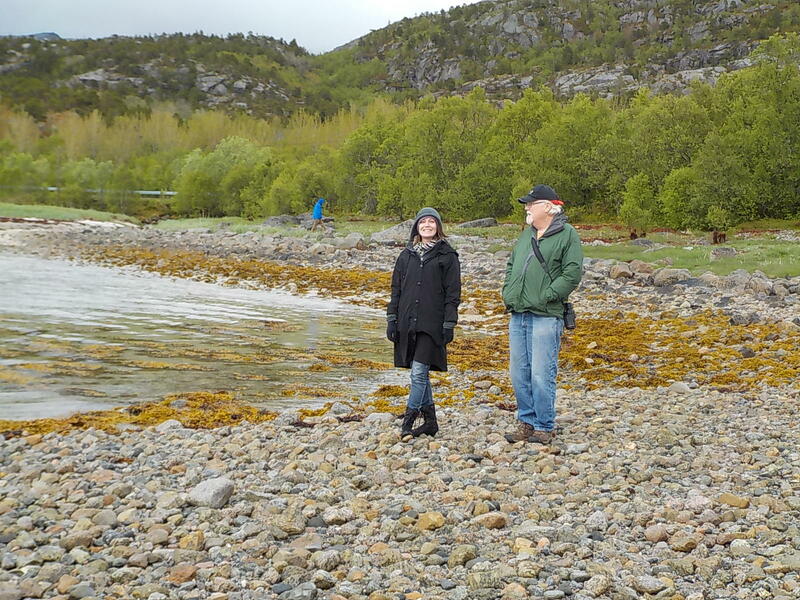 We had wonderful beach combing in many places. Playa Rosada is a place that many people recommend. I didn’t find the sand particularly pink, but perhaps the sun needs to be out. One of my favorite beaches is the stretch north of Valdivia and San Pablo and south of Montanita. 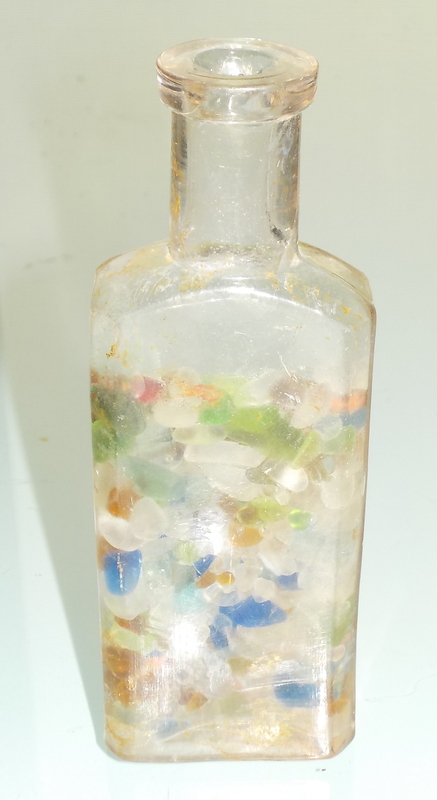 We found a couple of very old pieces of beach glass, one colored lavender from the sun (these mostly date prior to 1915), the neck of a glass jug and the base of an old spirits bottle. On the way home, we stopped for a look at the “Antiquities” store and saw old radios, fishing tackle, chandeliers, even electric typewriters, though I doubt they still work. On our last day of beach combing, I found a piece of spondylus shell. It’s not much to look at, a piece from the center of a spondylus calcifer, but it’s the only fragment we’ve seen. 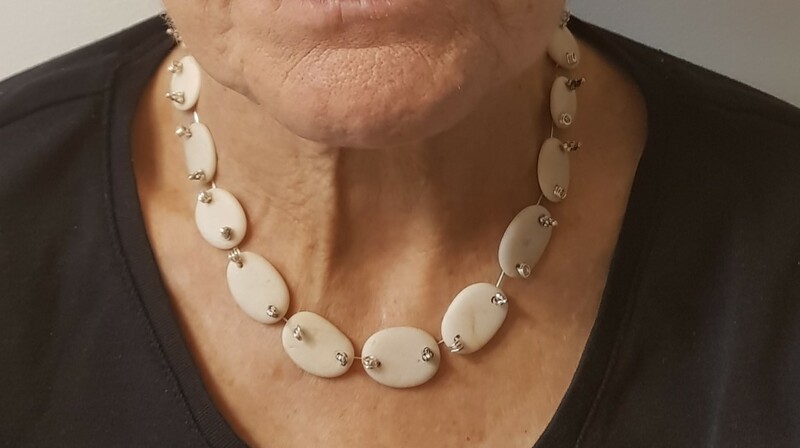 A little research shows that there are spondylus species in all the world’s temperate oceans, so the shell that ends up in jewelry in Peru, where it is very popular with tourists (it was used by the Inca), probably is all imported from Asia. There certainly isn’t much left in Ecuador. 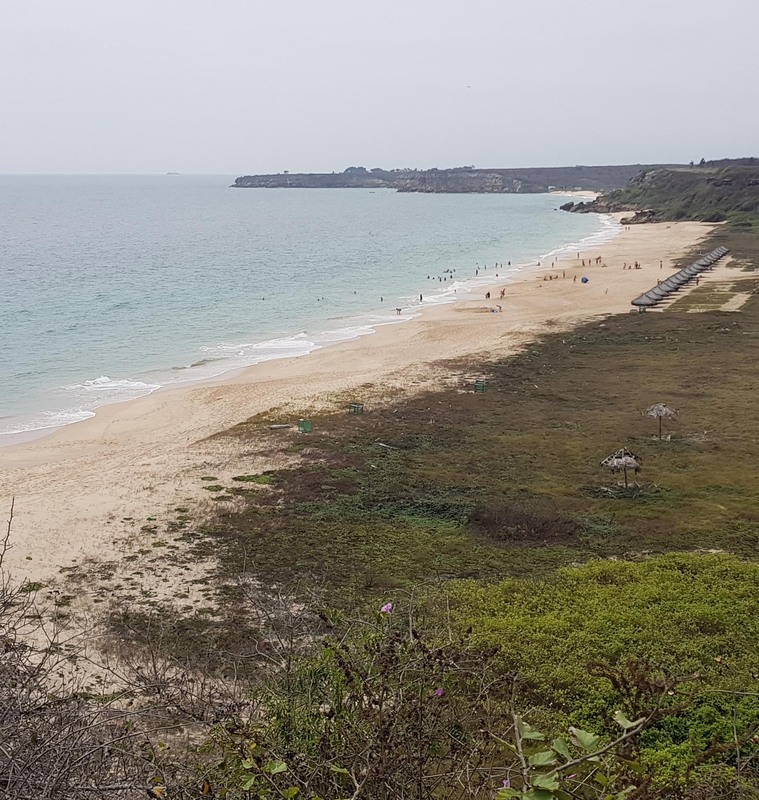 We visited beaches that host nesting turtles earlier in the year. 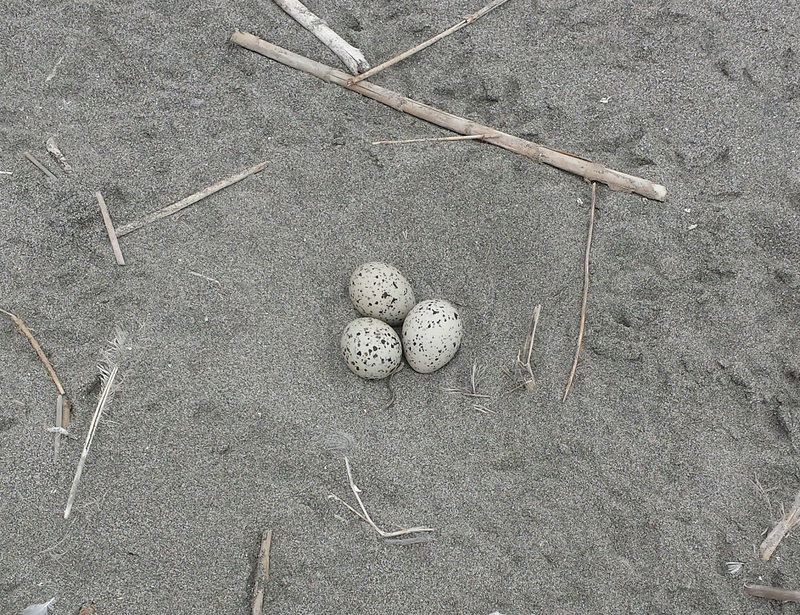 There are even covers that are used to mark turtle nests, though wouldn’t it be better leave them anonymous? We also saw this sign, that I don’t think sends the correct message. 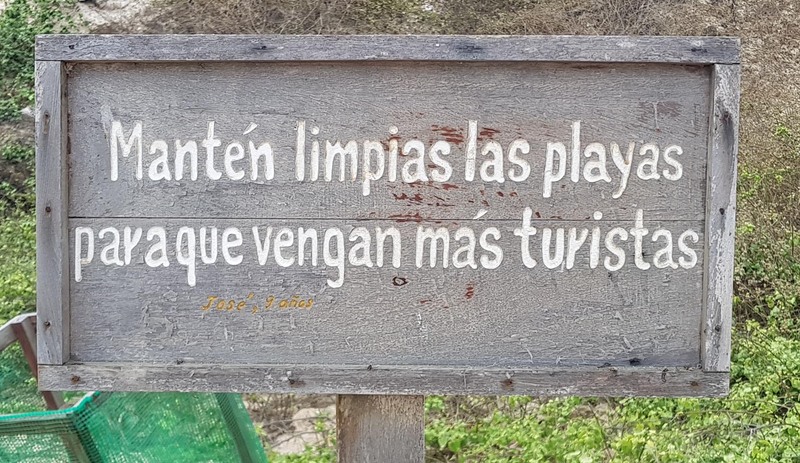 It says: KEEP THE BEACHES CLEAN SO THAT MORE TOURISTS COME. I’d rather have the beach kept clean because that’s good for everyone. When we walked on the beach we were reminded of the present state of the oceans. No matter where you are, there is lots of plastic on the shore. If you visit a clean beach, it’s because someone cleaned it before you arrived. 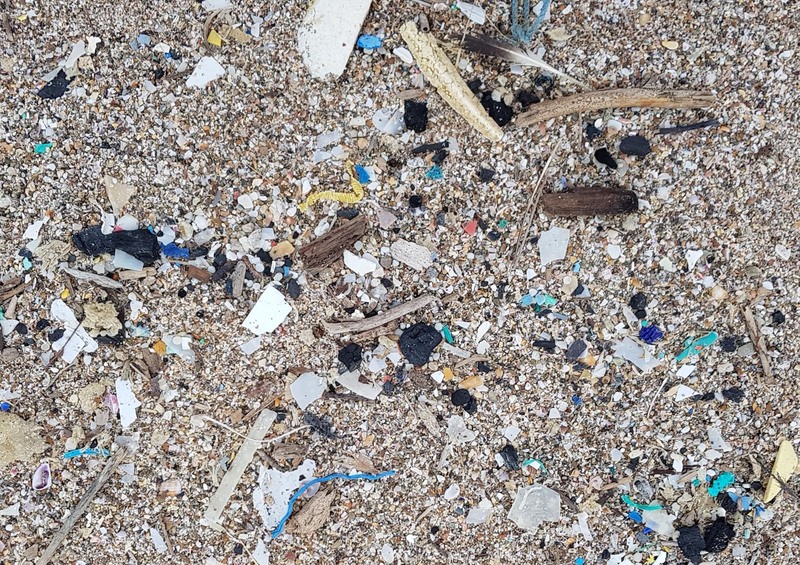 There is no escaping ocean plastic, even on gorgeous beaches where it’s not immediately visible. Our Airbnb house had snorkeling equipment and I found enough to fit, though Jonathan found that his knees don’t much like snorkeling any more. We went snorkeling at Rodgers Beach, in sight of the former refinery, and saw many small fish. We found even better underwater terrain right by our house at Savaneta beach. The shore is a mix of rocks and sand and it was a bit of a balancing act to put on fins. Once in the water, though, visibility was excellent and we saw clouds of tiny fish along with some bigger ones. The small patch of mangrove seems to have been home to the billows of minnows of several species. We watched tiny black fish defending the sunken tire or coral covered brick that was their home base from all kinds of larger interlopers. At Savaneta Beach we met a group of men who usually have lunch on the table we happened to be using. They ended up advising us to try Boca Catalina on the north end of the island, which is a lovely beach with bigger fish than at Savaneta. We returned to Savaneta for one last exploration because Wayne wanted to reach the barrier island that was a couple hundred yards off the Savaneta dock. With snorkel and fins that distance is no problem when there isn’t fast moving water or marine traffic, so we crossed with relative ease. I’m reminded that I don’t really like the deep water when I can’t see the bottom, but it probably took us less than ten minutes to cross. We’d both carried our sandals to do some exploring. There are a couple of houses out there and Wayne was curious about who would build out there and why, since a big storm would wash over the narrow gravelly strip. We saw that one house was abandoned but the other was someone’s summer home carefully gated across the entrance. A walkway lined with, beach glass, pebbles, and chunks of coral led to the dock! 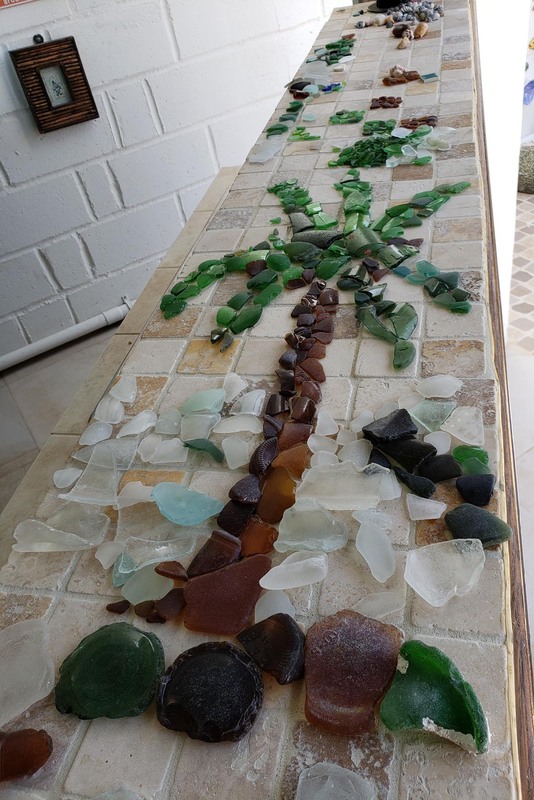 The entire spit of land was the big surprise—it is made of beach glass. Imagine sitting in front of your beach house at your cafe table and chairs amid a carpet of green and white glass pebbles. The entire barrier island is less than 50 ft. wide though it extends for about 500 ft parallel to the shore. We didn’t cover all of it once we discovered the carpet of glass. There is as much as at Glass Beach in northern California. I found a plastic bag among the usual shore detritus and picked up as much as I thought I could carry on the swim home. 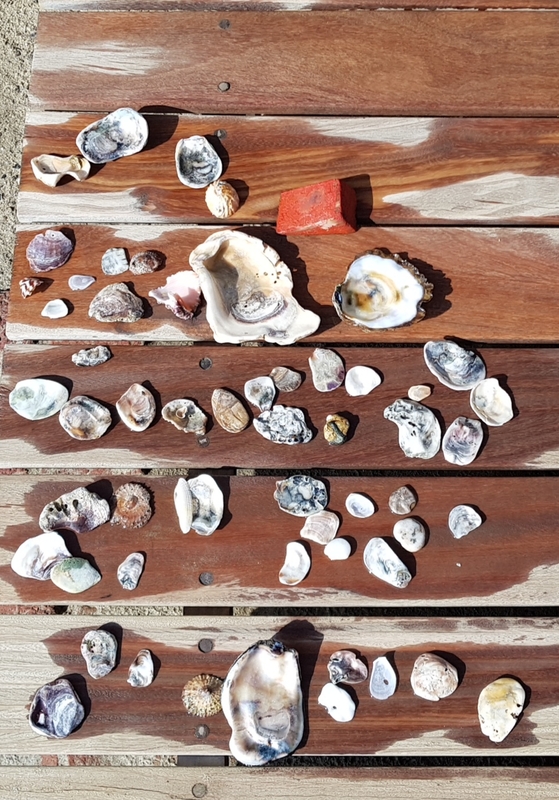 We laughed at how easy it was to collect pieces that we’d been combing the beaches to collect elsewhere on the island. It was a fantastic last day on Aruba. The swim back took two or three extra minutes as I carried my bag of loot to the other side. This was the perfect last day of snorkeling in Aruba. I now have jewelry-making supplies that will last a year or more. 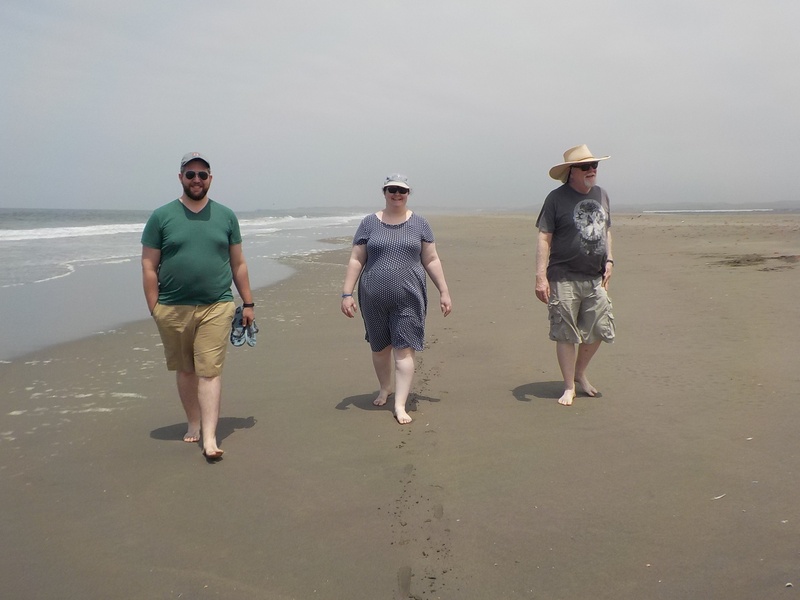 Our home stretch into the north took us from Piura to Playa Los Organos. We saw more of the damage from El Nino as we left Piura on bumpy roads, the asphalt having washed off last year. Road construction detoured us every few kilometers for the first hour of our drive. After that, the road was merely bad, partly peeled away in places, one lane each way in others, and full of potholes along the rest of the route. The landscape changed as we drove, getting dryer and dryer, sandy hills covered with tan fields of grass that sprouted after the El Nino and died as the water dried up. 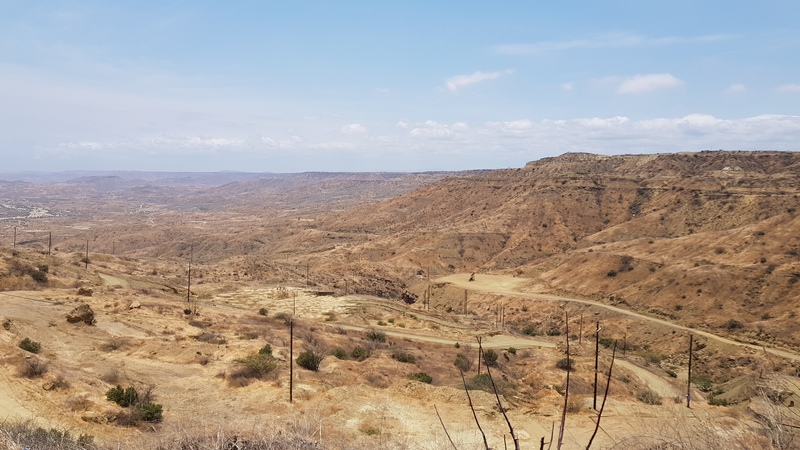 We stopped for a breathtaking view of this brown scenery at the top of a hill, sandstone and scrub reaching to the horizon. We only misinterpreted our Airbnb directions once, and a quick call to our hostess got us to our rental house facing the beach near El Ñuro. It was a pleasure to stop driving. Our house is perfect, lots of outdoor terrace and chairs, a tiny pool, and a view of the Pacific. Why stay here when we already live opposite the beach in Barranca? The water is warm. We went for a swim the afternoon we arrived once the blazing sun drifted into the late afternoon mist. It was blissfully cool and not straight from a melted glacier. Divine. Just down the beach at the pier is a colony of sea turtles and we saw the carapace of four former turtles in the sand. Talk about beachcombing! I did not bring a turtle skeleton home, but I’m thinking about it. I have to see whether it is illegal to possess marine turtle shell. We did find a few other things along the beach. From here we will explore the beach, other beaches and towns from Mancora to Tumbes. A great pleasure of being retired is having the time to dabble. 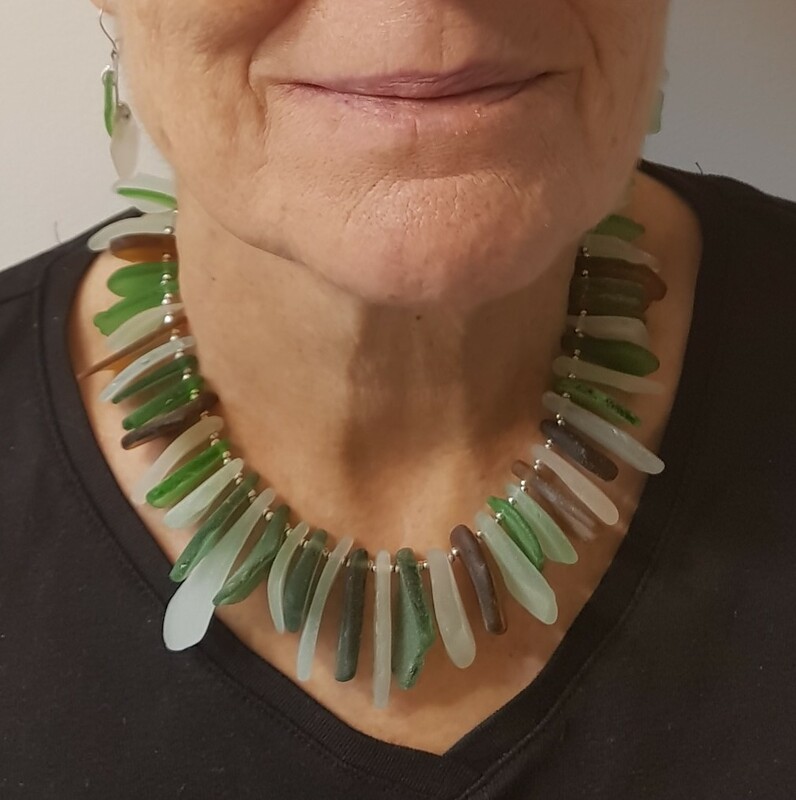 I am a great putterer and after beachcombing extensively in Italy, I wanted to make something of my finds. I took the plunge and bought a Dremel. For the uninitiated, this is a tool that can be used like a drill, a polisher, a small grindstone, and mini electric sander. Once I discovered how to use the diamond drill ends by watching Youtube, I made a bracelet. The stones in this bracelet are from the beaches of Sicily, especially Heraclea Minoa, where there were lots and lots of flat, oval pebbles. 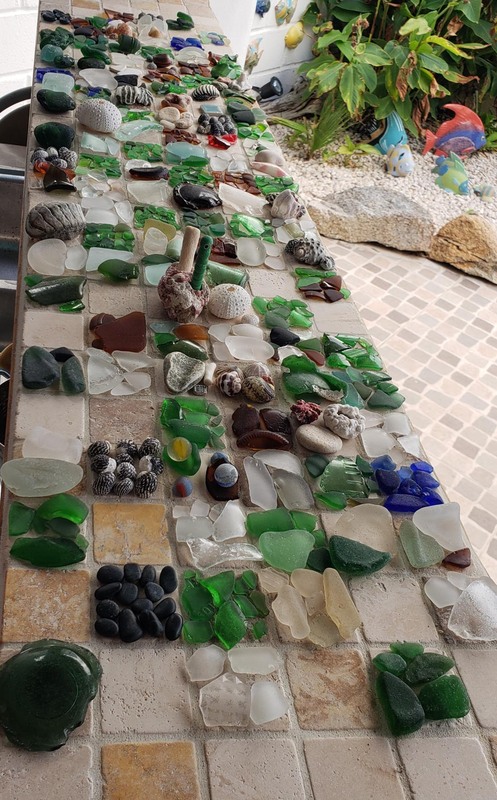 I’m going to continue collecting beach glass so that I can make more. I know that you can make “beach glass” in a rock tumbler, but I am happy to wait until I find the real thing. We set out on a loop from Bundoran to Manorhamilton, on to Rosinver, then back to Bundoran. We started with the farmers market in Manorhamilton that turned out to be very, very small. 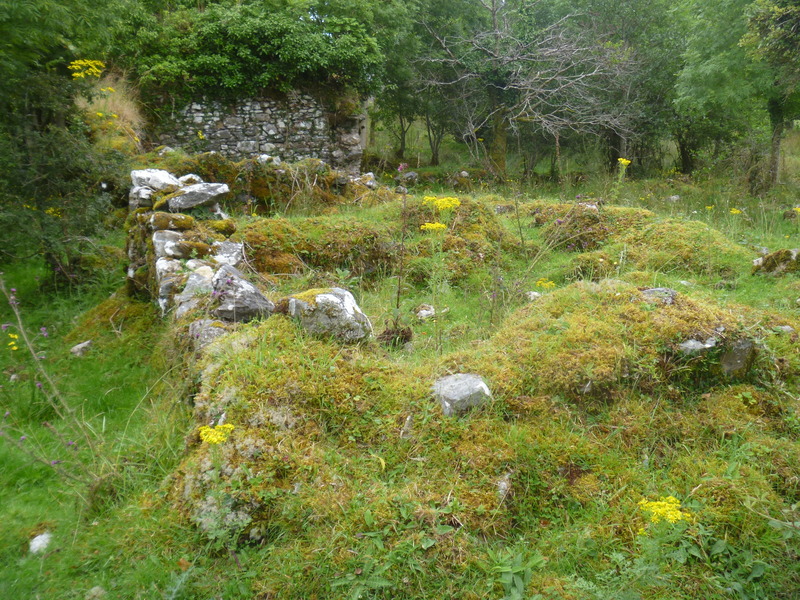 After buying a few things, we went in search of a ring fort and we found a site, but it wasn’t the one we were looking for. Having mostly struck out, we saw a small hand painted sign at the start of the last leg of the drive that said “Scenic Drive” and so we turned that way. The map showed a route between a bog and a lake, possibly a good spot for some birdwatching. The road turned out to be a narrow lane, where the plants brush against both sides of the car. The bog was either on the side of or over the top of the mountain and we were on a hiillside far above the lake, Lough Melvin. The sun was out and the view was gorgeous over blue water and islands, with Bundoran and the sea in the far distance. It could not have been lovelier. We picnicked and looked out over the lake with our binoculars and realized there was NO ONE on the lake from one end to the other. 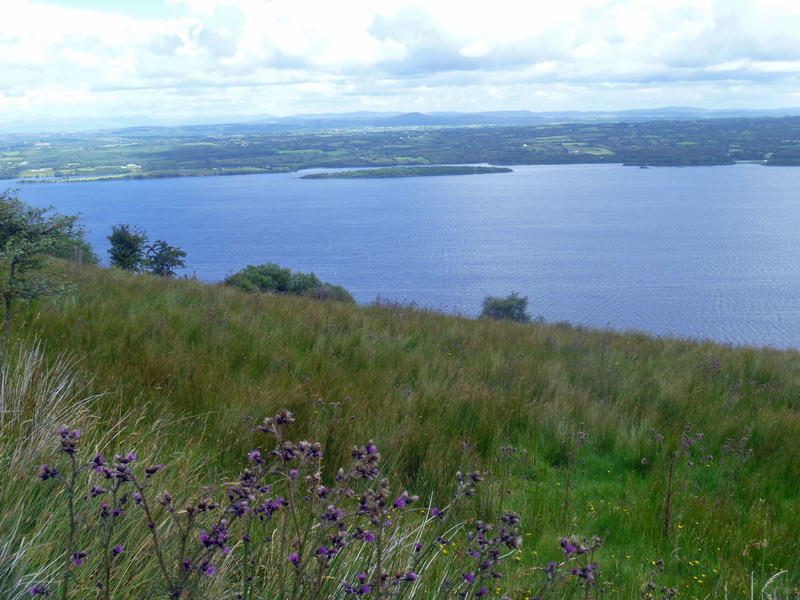 It’s a Friday afternoon of a national holiday weekend (August Bank Holiday) in a popular tourist area and not one single person was on Lough Melvin. We decided to go down to the edge of the Lough. We found a perfect place, a tiny rowboat harbor and boat launch ramp. No one was there, despite the boats. We strolled along the shore and were met by three horses and a pony checking to see whether they knew us. After they trotted off, we walked the edge of the lough, which is pebbly and rocky. You’d need water shoes, but the water is warmer than the ocean. Perhaps with the ocean so near, no one bothers with the Lough except to fish. In the US, there would be a giant development somewhere along the lake. 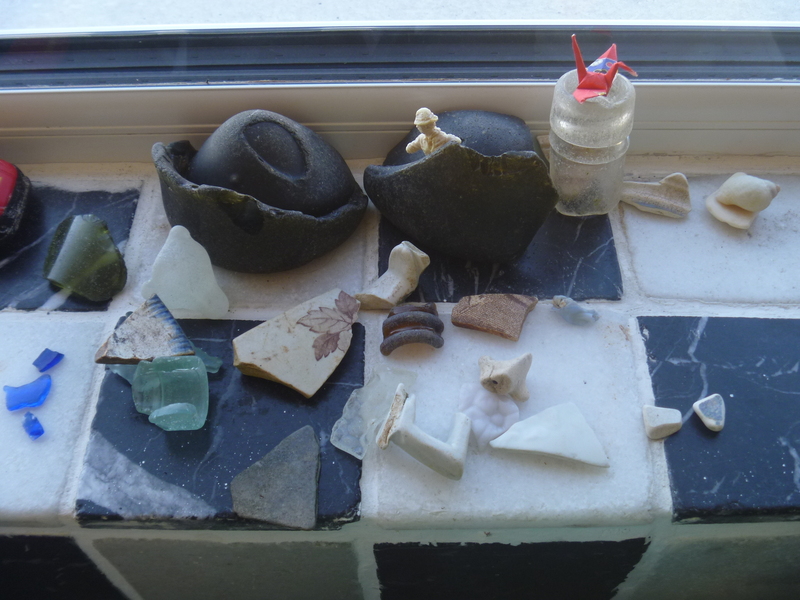 As we walked along the shore, we found fragments of glass and pottery that had been tumbled in the water. It was some of our best beach combing, and there was no beach. After our long stroll marveling at the absence of people, the bright sunny day, great sights and finds, we headed for home, and saw an animal cross the road. Almost as dark as a black cat but with a weasel head. It may have been a pine marten. Another rarity capping a rare day. A blown glass float in its netting. I concede. Today we woke up to 9 degrees C (48 degrees F), howling wind and rain. When it let up we went exploring to the nearest town with a store, Ramsund, only about 35 minutes drive (vs. a hour to the next closest store). We bought more fishing tackle (fishing post soon) and picnicked in the car (still cold out). We saw a new bird, too. A redwing. It may have died from being tangled in plastic rope. The reindeer skull and antlers are in a place of honor on the shed roof. The beachcombing stakes have gone up. Who knows what we will find next! The Albufera del Medio Mundo has the best beachcombing on our coast. We had an interesting walk, first along the lagoon and then along the beach. 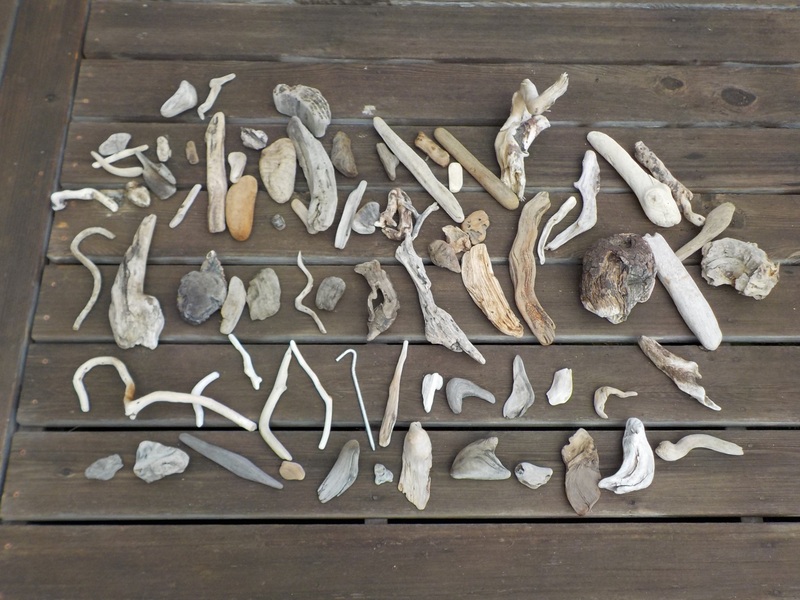 There were a lot of different things to be found along the beach. We found the skull of a sea lion. Only one person walked by us, though we could see people in the distance. Mendocino has been a blissful environment, yet tomorrow we leave. 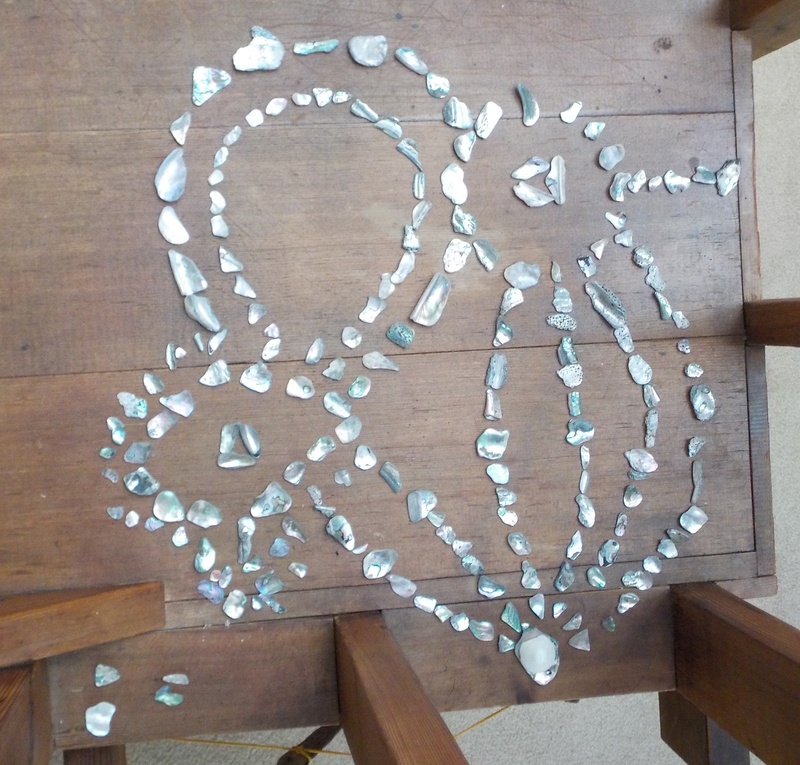 Yesterday, I put some of my beachcombing shells back in the water. 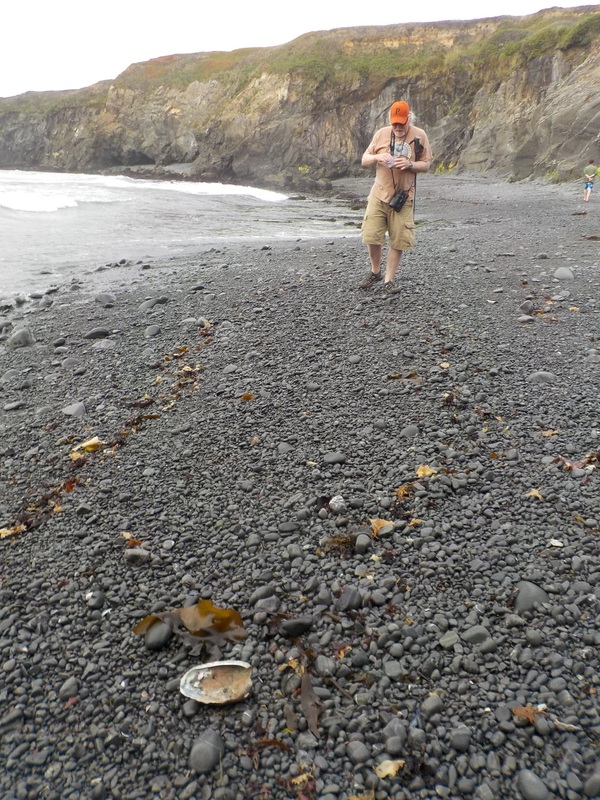 In addition to packing, we spent our last day beachcombing on one of the best beaches yet, the Mendocino Headlands. 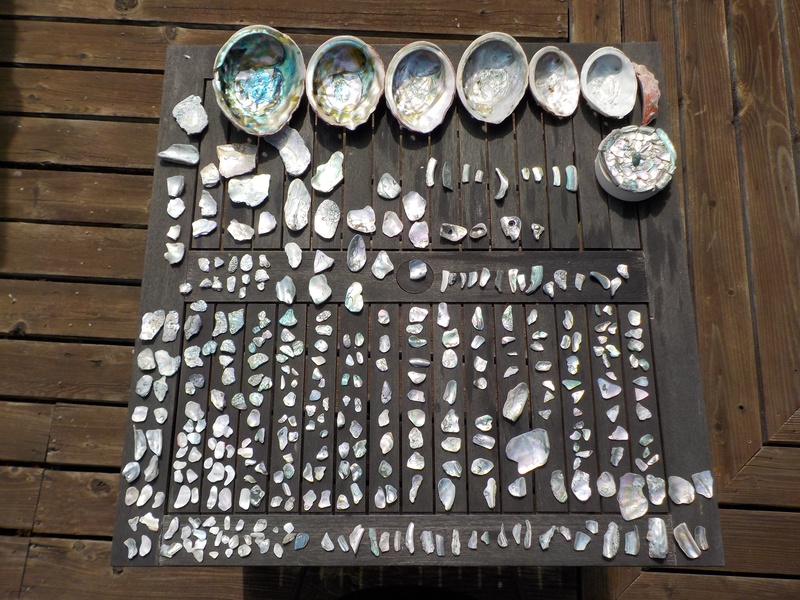 I found a lot of abalone pieces, but left them in place for the next person. 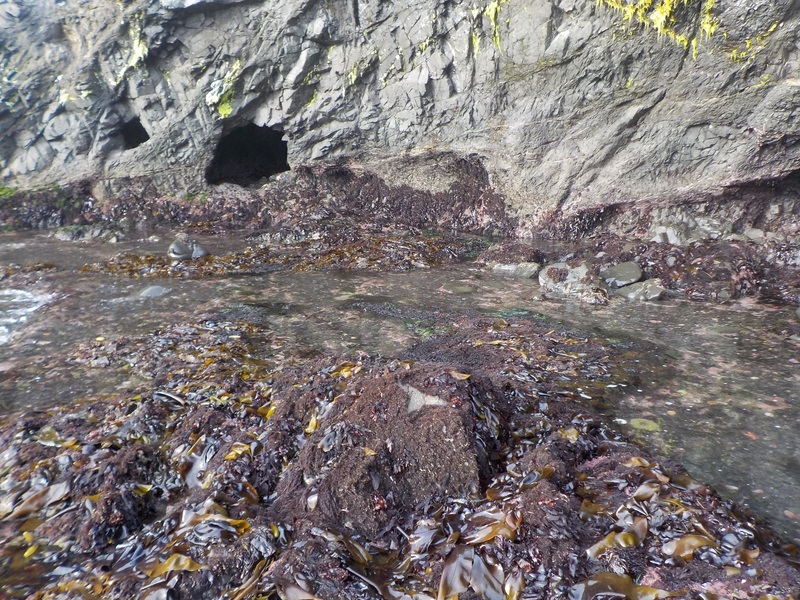 This final beach had the biggest, strangest tide pools, including several giant chitons. 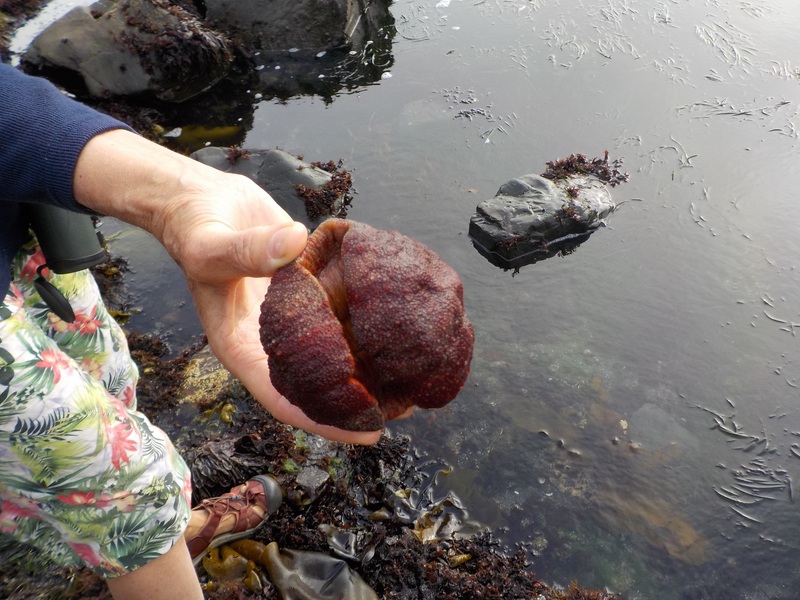 Giant chitons curl up when you pick them up. Under water they stretch out. 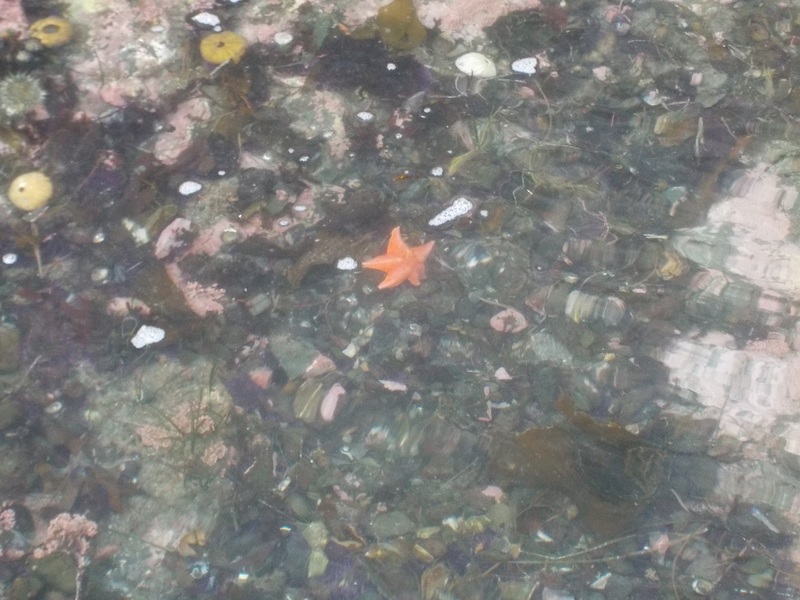 Sea stars, sea urchins, hermit crabs…. Jonathan appeared as a ghost. Amazing that we had never been to this beach before. It was a great end to this visit of exploration. We’re on to Barcelona on Friday. Not many people have the chance to go beach combing as often as they would like, we usually do this occasionally while on a short vacation. I’ve now had three months when I can go beach combing almost as often as I like. I can collect anything I find, with the understanding that at the end of our stay it will all be returned to the ocean. 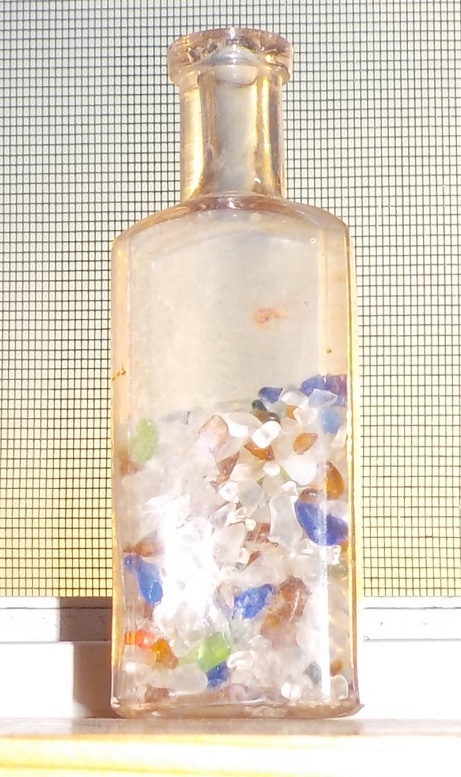 Not entirely, I’m keeping the tiny bottle I purchased at a flea market that I have been filling with tiny pieces of glass that we collect from the beach. 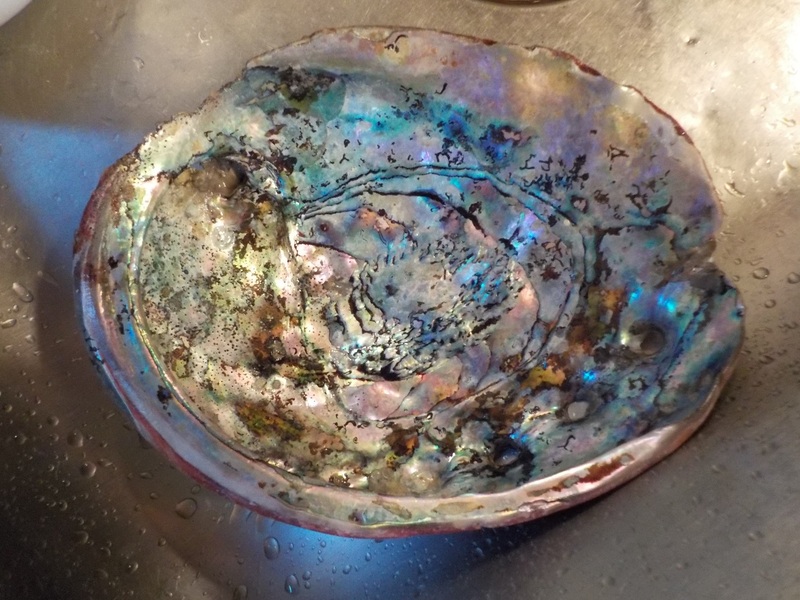 I will surely keep an abalone shell even if I have to send it to myself at the storage unit. I will have fun during our last week here putting abalone and sea glass bits back into the water. 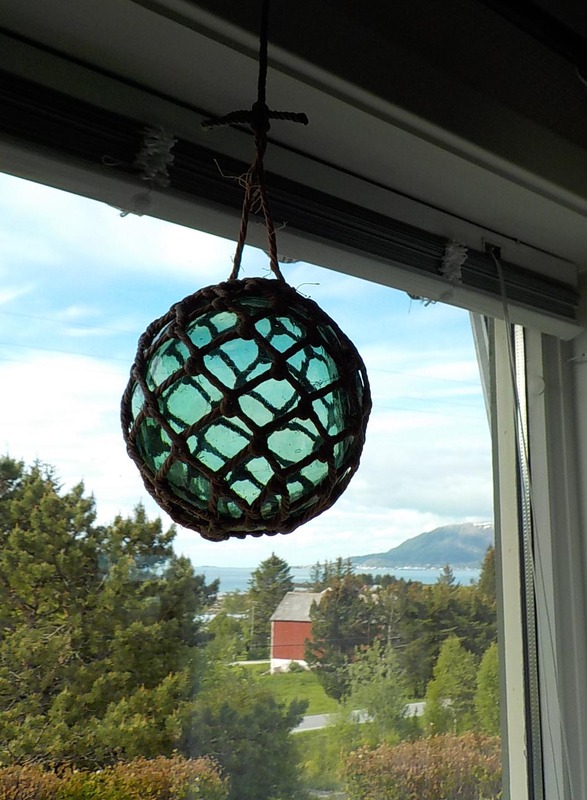 We’ve branched out (ha ha) into driftwood lately–many beaches don’t have much abalone or glass. Here are some of the pieces that I haven’t incorporated into hangings or windchimes. I have pieces hung around the house. This week I finished making the appointments that I will need during our brief stay in the Chicago area in mid-November. 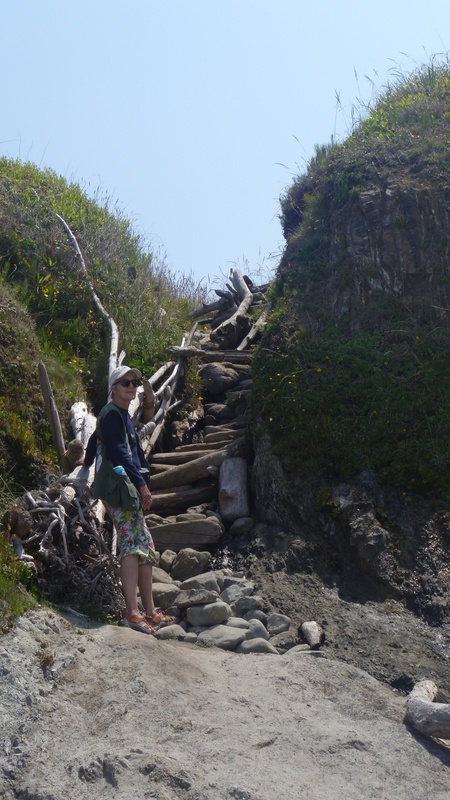 We’ve also dug deeply into our “Hikers Hip Pocket Guide to the Mendocino Coast,” a wonderful book, and found paths that we had not yet visited and small beaches to visit (see Jonathan’s Facebook page for more photos). Beachcombing was excellent, as well. I found another abalone shell entangled in a bank of seaweed, a bright orange corner sticking out of a tangled mass. 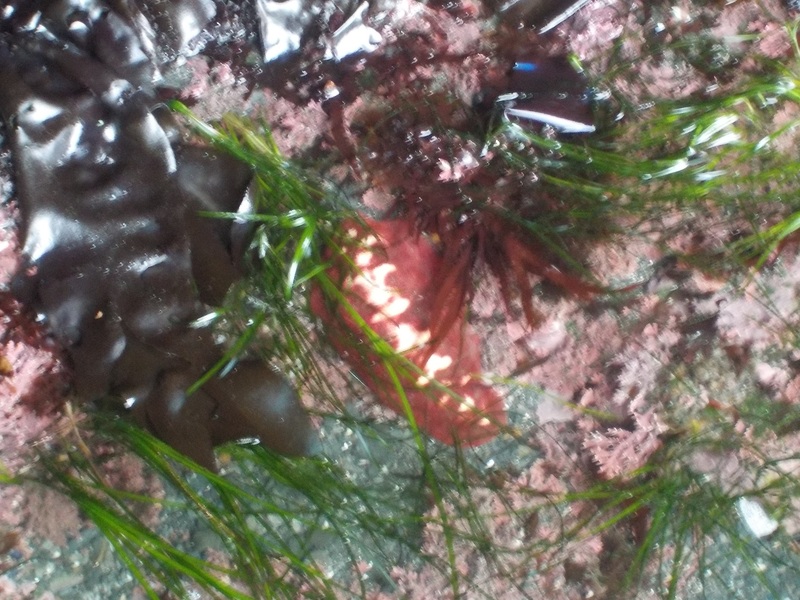 I pulled the seaweed away from the shell in a mighty tug—and found that under the seaweed were a whole bunch of bugs. Ick!!! I rinsed it out with seawater and carried home my prize. 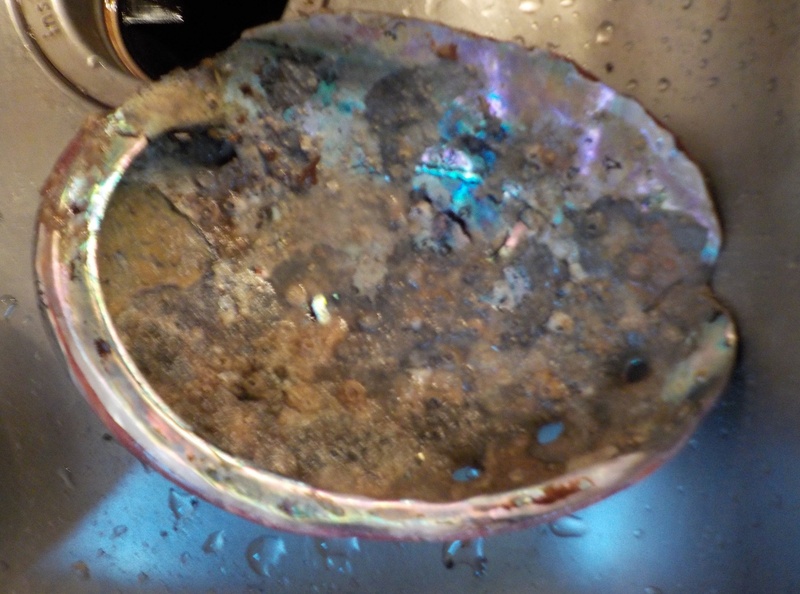 The deposits inside the shell washed out very well. 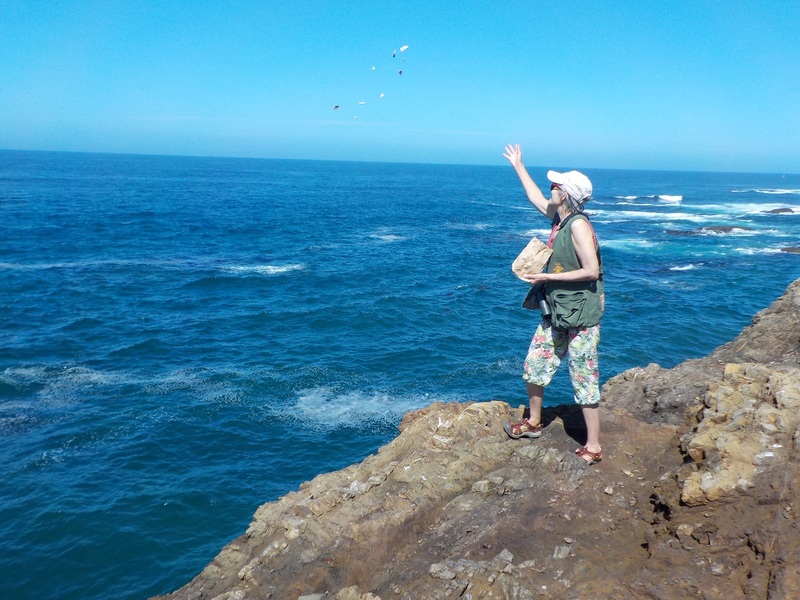 Wednesday was the monthly bird walk hosted by the Mendocino branch of the Audubon Society. Great company and lots of birds, even on an overcast/foggy day at the Botanical Garden. Wednesday afternoon we went looking for the pileated woodpecker on a path between Hwy 1 and McKerricher state park that is marked by a pale green house that is called the “turquoise house”. We saw a couple of wingbeats, but didn’t get a good look. Jonathan woke me up at 7 am to look at the raccoon on the deck, raising hell with the bird feeders. (He was a very chubby raccoon). He managed to tear apart and eat much of the najjar seed that I had dangling from a branch in a sock-like holder. Yesterday was the first time that the “right” birds visited it–goldfinches that held on to the sock with their feet while pulling out seeds. Now it’s history. The raccoon also managed to dump birdseed out of the “squirrel-protected” feeder onto the deck and settle down for a browse. He left in what Jonathan described as slow-motion. This is definitely in the cute….but…. category. 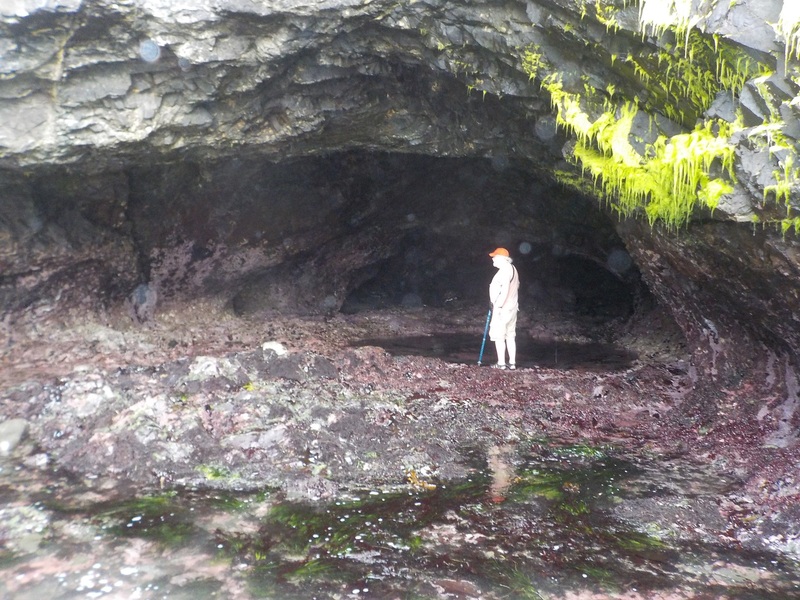 Thursday we explored for tidepools near Virgin Creek beach north of Ft. Bragg before Jonathan visited the dentist. On our way home we made a detour to the Caspar Cemetery. This is one of the most beautiful cemetery sites I’ve ever seen. 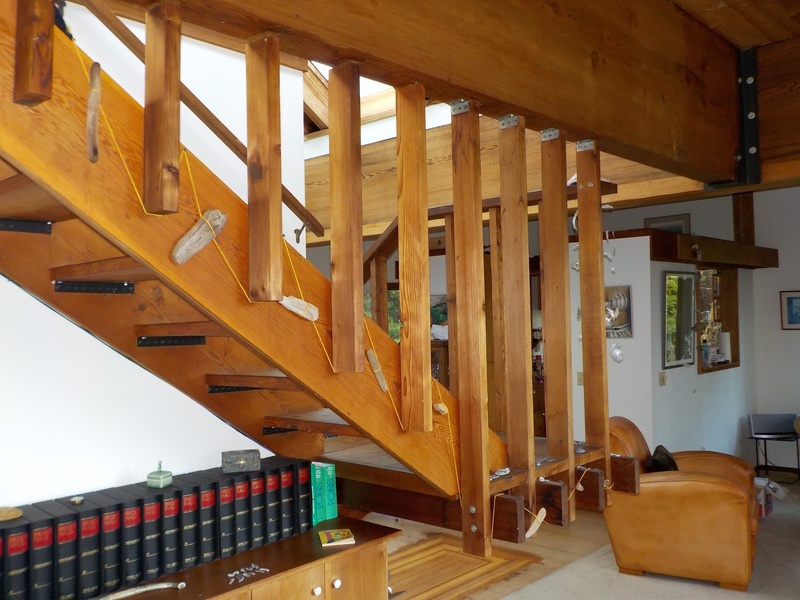 It is a small plot, a bit more than 1/4 acre with tombstones that go back to 1860. The cemetery is completely surrounded by thick forest and is quiet and peaceful–also a good place to look for birds. We saw forest edge birds, chickadees, brown creeper, and perhaps nuthatch. There are crossbills that visit this spot because some of the trees around the cemetery are Sitka spruce. According to Tim, our Audubon group leader, this is one of the southernmost occurrences of Sitka spruce and it’s seeds are preferred food of the crossbills. We didn’t see them, but the place was very much worth a visit.